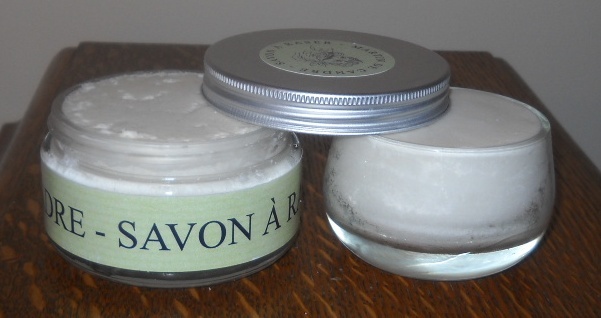 I have two new jars of Martin de Candre soap that I want to sell as a package. The Fougere is the familair 200g glass jar - it has been used exactly once. The Original Scent is a 130G open glass jar (called Le Bilbao) and it has not been used at all. MdC recommends that their soaps should air dry, so that's why they sell Le Bilbao (and others) without a lid. Your price, including US shipping, is $80. Since a new 200g jar usually sells for $60, you're getting the equivalent of an extra 2/3 of a jar for $20 extra. Great deal! Wish I hadn't ordered these two a few days ago.